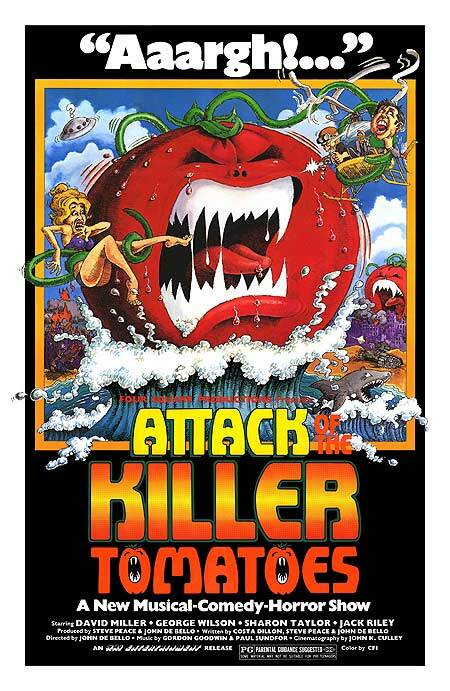 With the help of a journalist (Sharon Taylor), a spy (Gary Smith), and a parachuting lieutenant (Rock Peace), a special operations agent (David Miller) attempts to learn why tomatoes are suddenly wreaking havoc on humanity. Peary writes that the “title sufficiently tells [the] plot of this sci-fi spoof that, regrettably, is not nearly as bad as its distributors would like us to believe”. He argues that “unfortunately, the filmmakers had enough skill to make it clever but dull rather than inept but campy, like other ‘Worst Film’ contendors”, and points out that “at least it has an even more ludicrous title tune than The Blob‘s” (indeed, the song will stick in your memory for days thereafter; be forewarned). 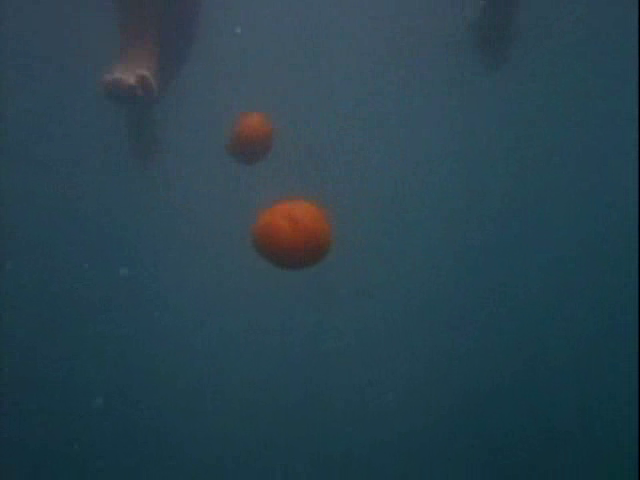 While Peary asserts that the “funniest gag has an actor dubbed (loud and out-of-synch, appropriately) simply because this is a sci-fi film and he is Japanese”, I believe the best scenes (relatively speaking) are those which openly parody well-known horror films (i.e, tomatoes bobbing menacingly in the ocean a la Jaws). While I’m not a personal fan of this ridiculously silly film, it’s harmless and worth a look if you enjoy this kind of entertainment. No, though it’s worth a look if you’re curious. What also supports this as a missed opportunity (esp. 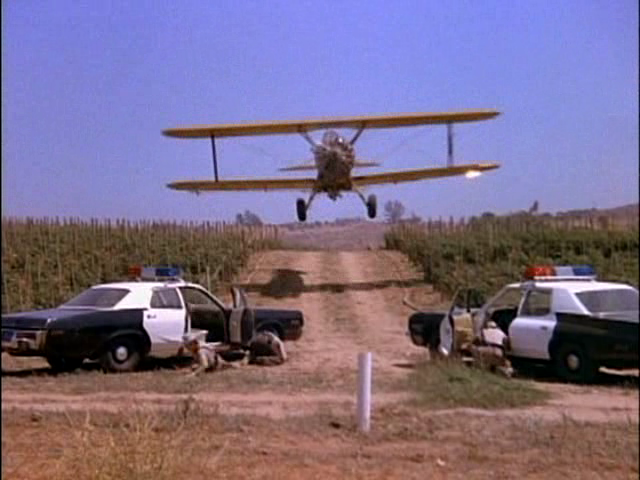 to be more on a level with something like ‘Airplane!’) is the fact that, when the ideas or lines of dialogue are clever, they are indeed clever. In one of the best sequences (early on), a group of about 10 officials and experts adjourn to a private room (the only one available ‘on such short notice’) for an emergency meeting. The table fills 80% of the room, the chairs fill another 10% – so the men have to climb all over the place to be seated (and squeezed-in). It’s a well-directed scene and it’s timed perfectly. A genuinely successful joke does seem to come along each time things are at the point where a real laugh is desperately needed – but what’s there is simply not enough… so, much of the film is a chore. And things start to completely run out-of-steam about 30 minutes before the film ends. The concluding boy-really-meets-girl song is fun but it’s still too little too late. All that said… those who can deal with ‘more silly than really funny’ may not mind checking this out once.